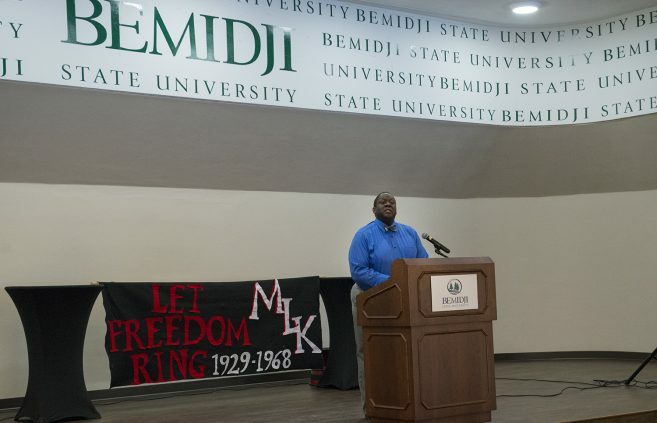 Bemidji State University and Northwest Technical College will learn, honor and celebrate the contributions of African-Americans to the country’s history with a series of Black History Month activities beginning Feb. 2. 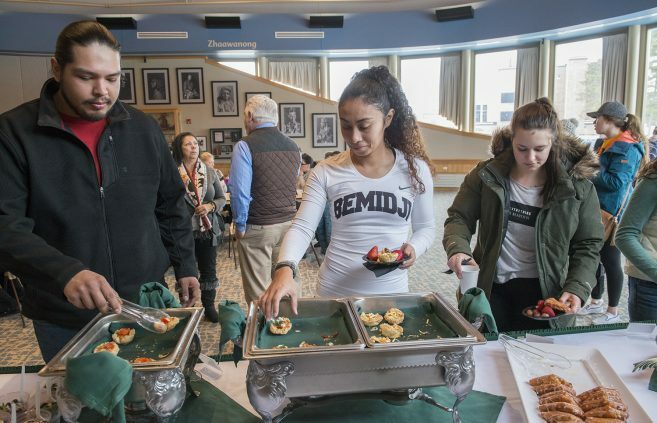 The Northern Student, Bemidji State University’s student-run monthly news magazine, received five awards in the Minnesota Newspaper Association’s Minnesota College Better Newspaper Contest, announced Jan. 25 during the Better Newspaper Contest Banquet at the association’s annual convention in St. Paul, Minn.
Bemidji State University’s director of sustainability will explore the feelings of American society regarding intellectual workers and those associated with higher education as part of the university’s Honors Council Lecture Series. 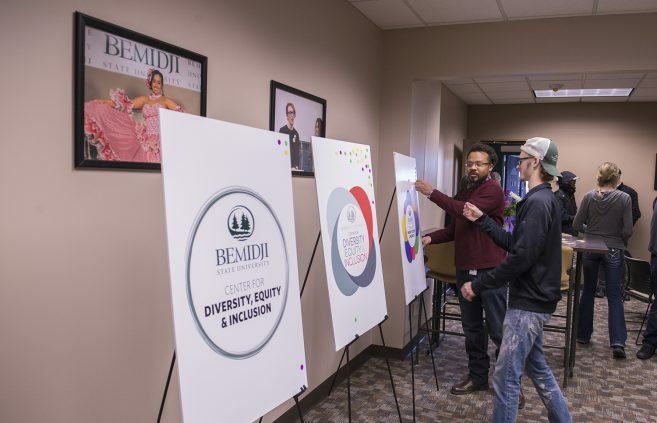 Area ice fishing enthusiasts are invited to Bemidji’s Diamond Point Park on Jan. 27 to participate in the second annual “Beaver Freeze” tournament, co-hosted by Bemidji State University’s Outdoor Program Center and Department of Campus Recreation. 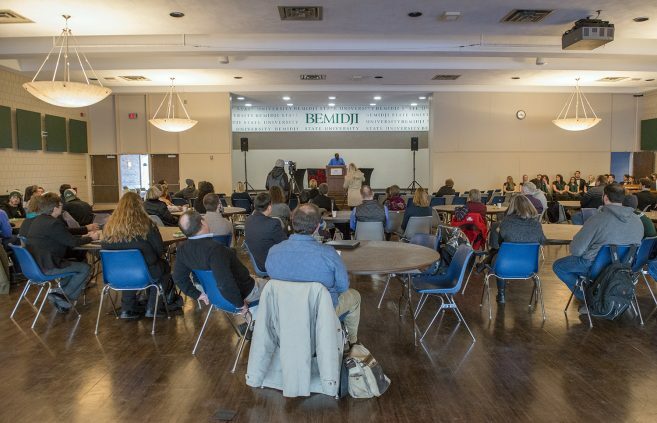 “Playing With Boundaries,” a collection of abstract oil paintings on paper by Bulgarian artist Mihail Lalov, opens Jan. 23 in Bemidji State University’s Talley Gallery. 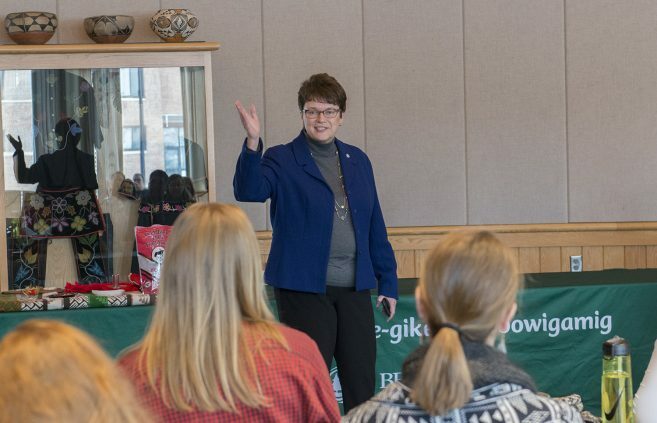 President Hensrud discussed Bemidji State University’s 2018-2023 Strategic Plan, and the path it creates for the university’s future, in a commentary piece for the Bemidji Pioneer published Jan. 14. 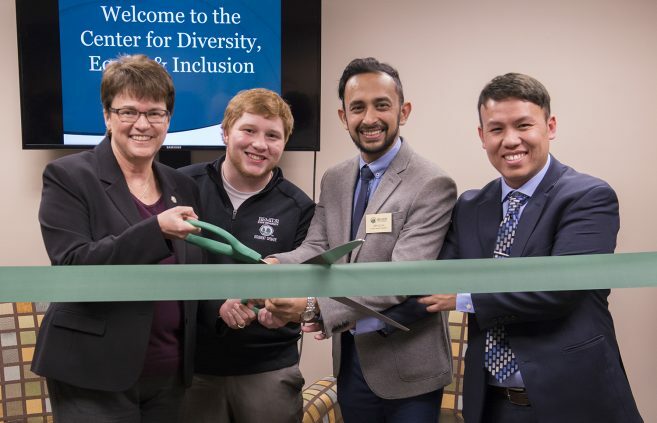 L to R: BSU President Faith C. Hensrud; Kale Hennek and Ash Ullah, BSU Student Senate; Dr. Brian Xiong, center coordinator. 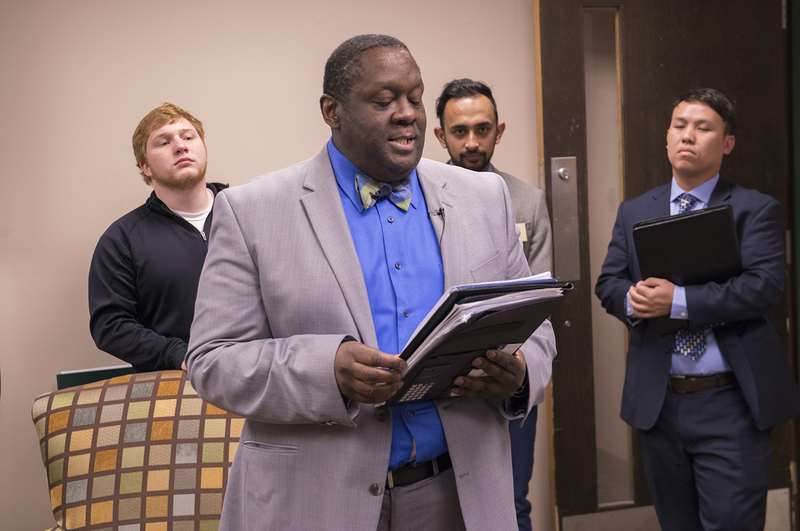 Dr. Jesse Grant, interim dean of students. 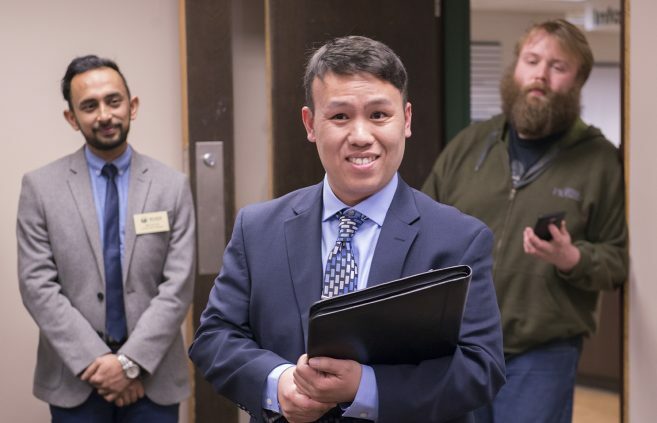 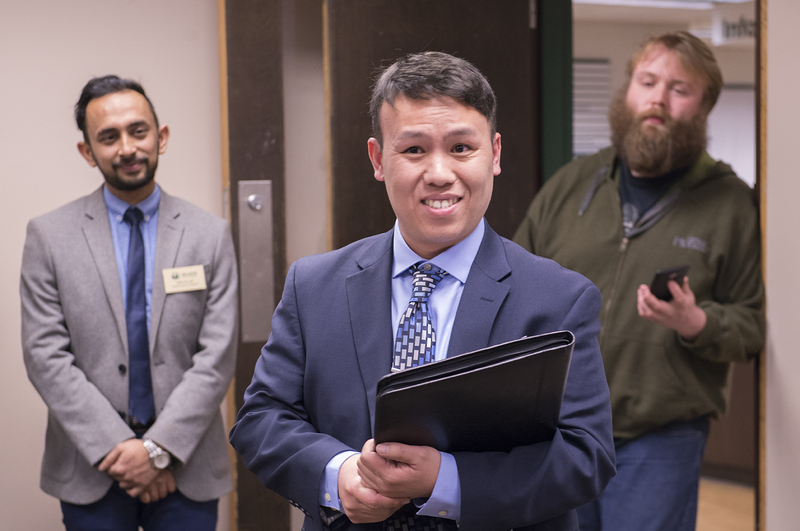 Dr. Brian Xiong, Center for Diversity, Equity and Inclusion coordinator. 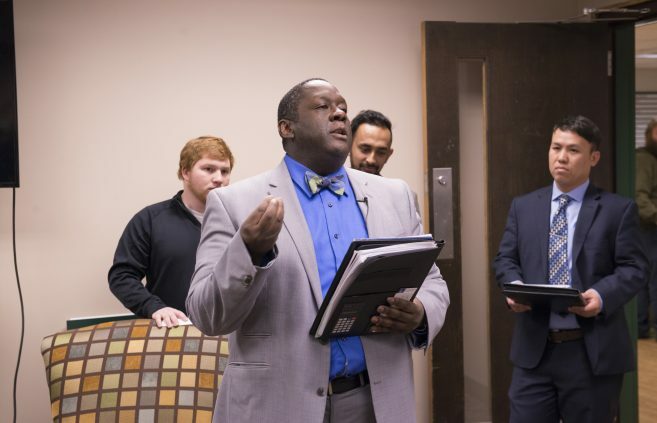 Kale Hennek, BSU student senate. BSU President Faith C. Hensrud. 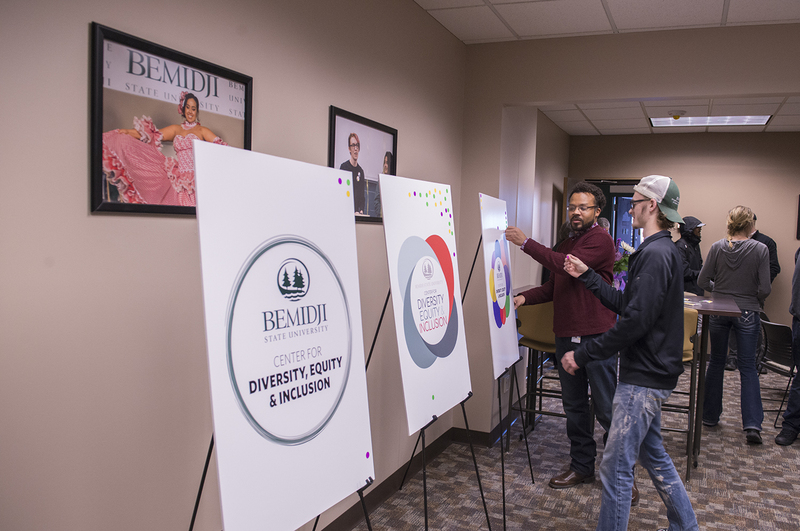 Center for Diversity, Equity and Inclusion logo options on display. 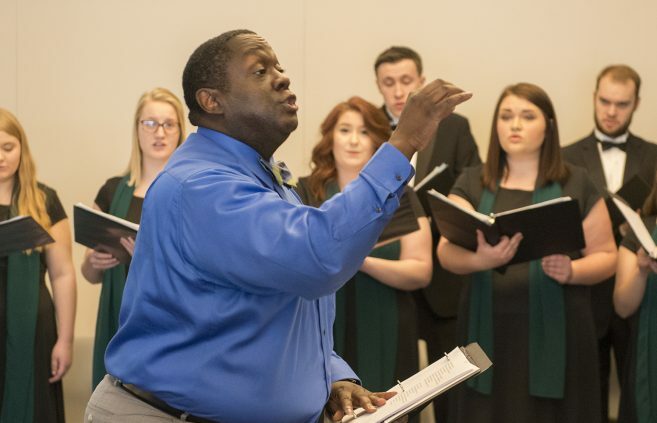 Dr. Jesse Grant directs the BSU Choir at a celebration event commemorating Dr. Martin Luther King, Jr., following the dedication. Dr. Jesse Grant speaks on the life and legacy of Dr. King. 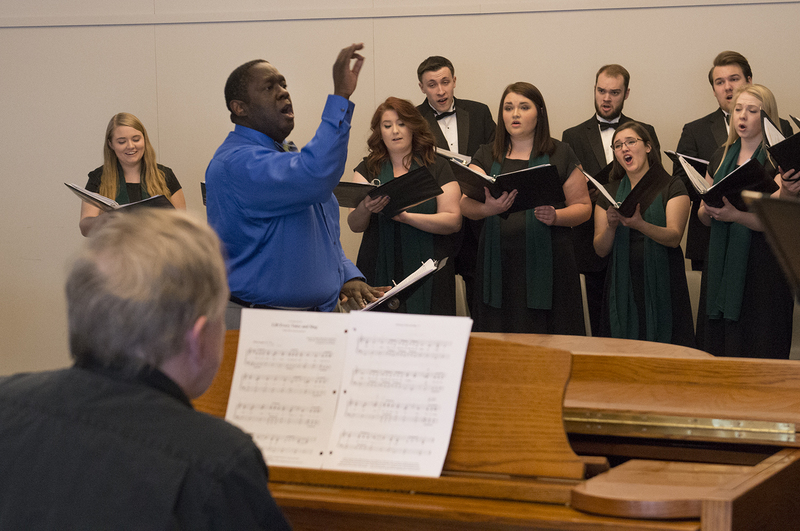 A commemoration ceremony of the life and legacy of Dr. Martin Luther King followed the dedication. 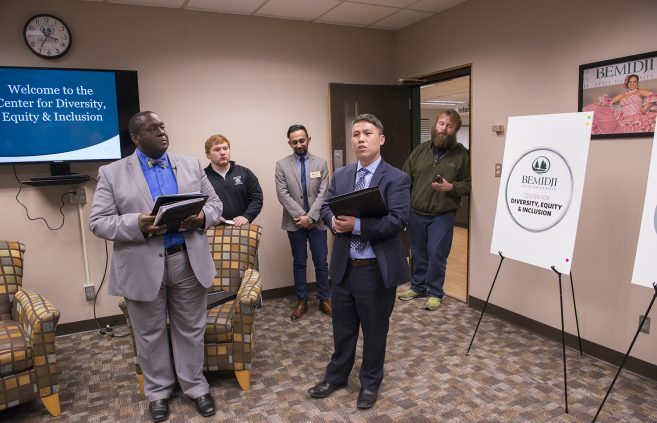 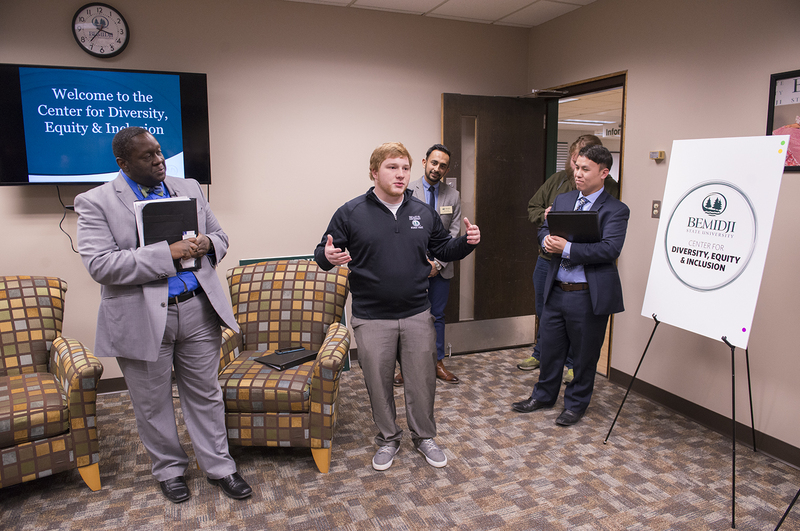 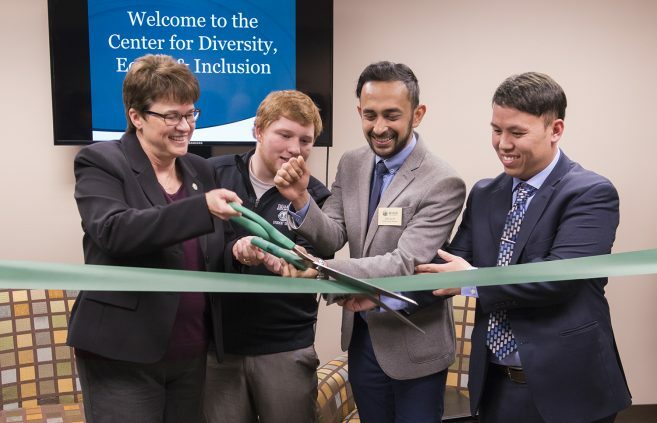 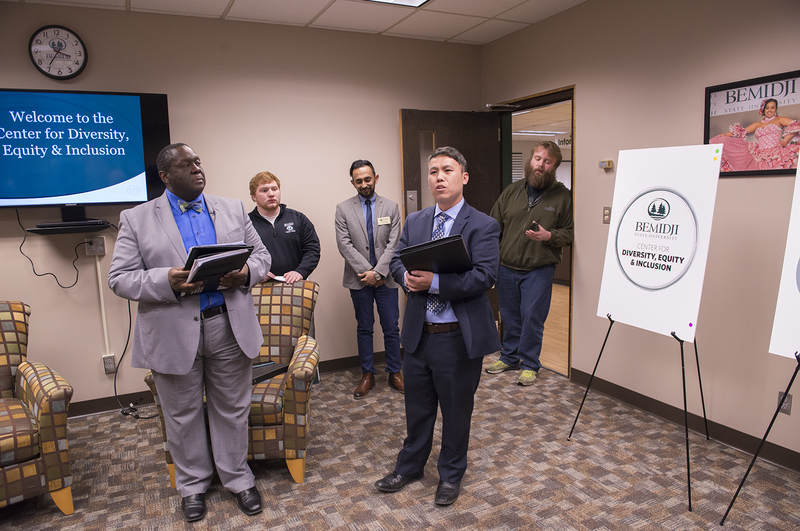 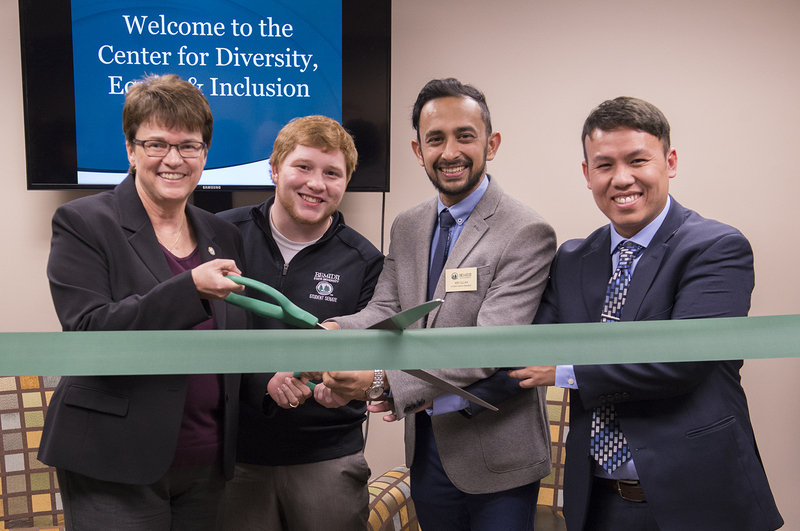 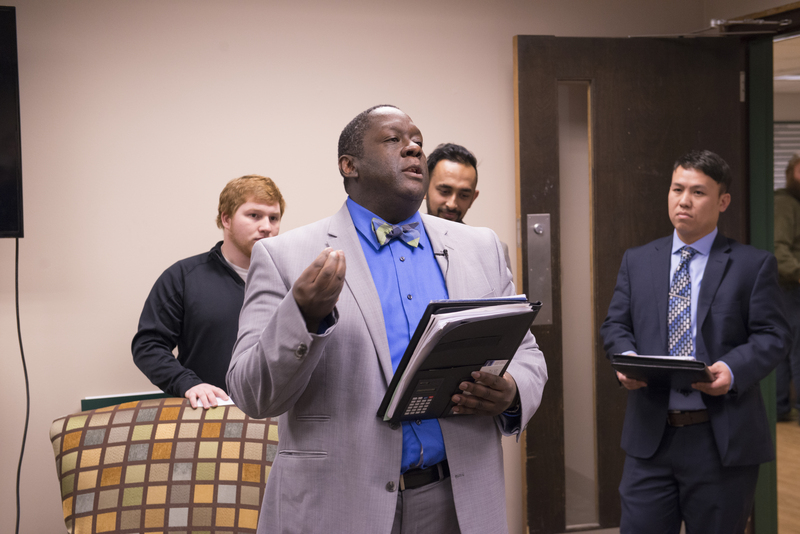 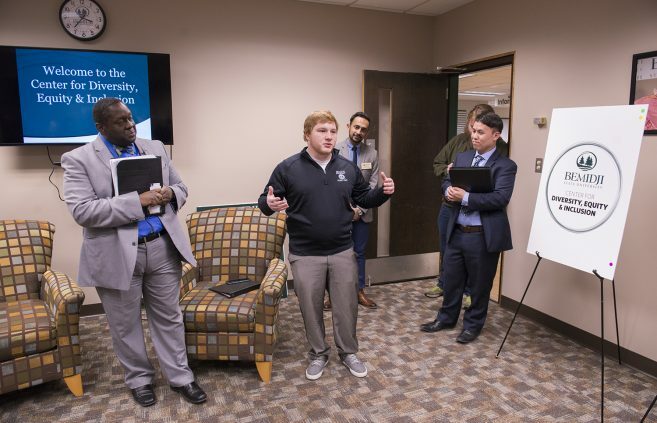 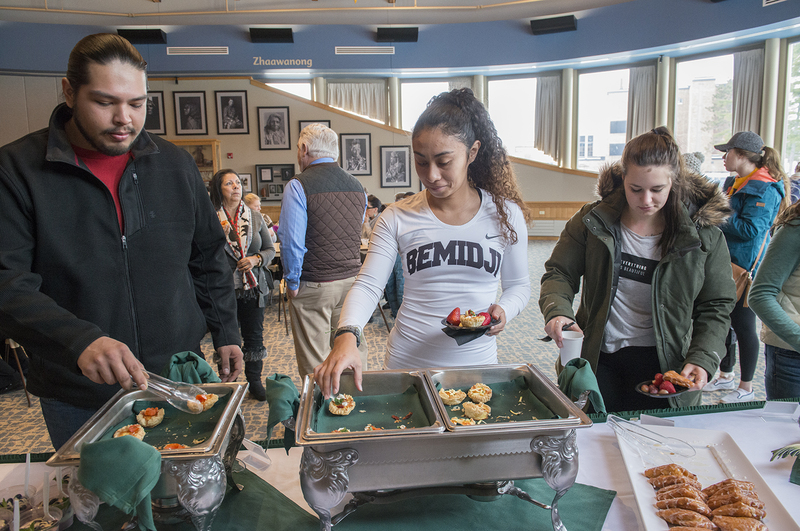 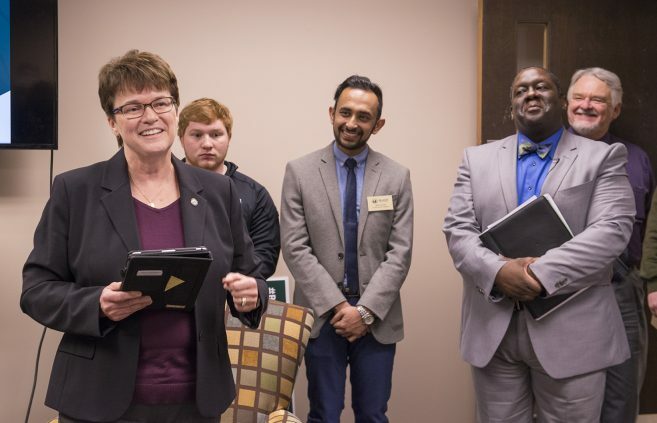 Administrators and students celebrated the debut of Bemidji State University’s new Center for Diversity, Equity and Inclusion at a Jan. 11 ribbon cutting ceremony. 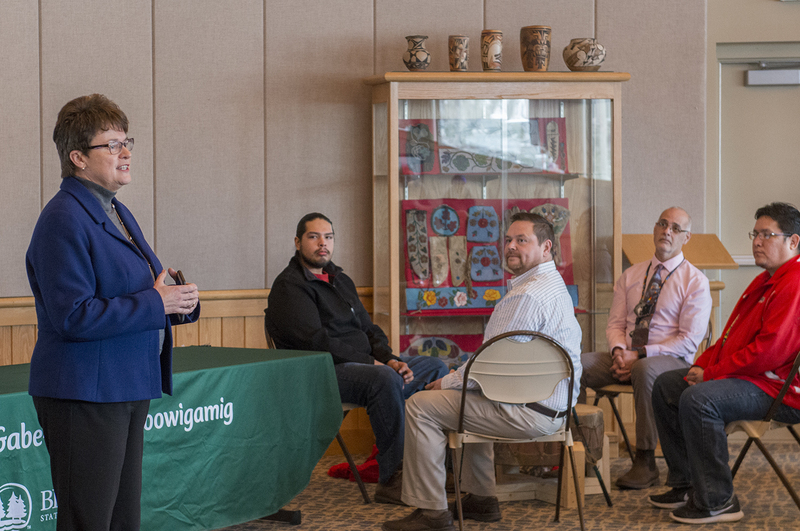 Front row, L to R: Donovan Sather, Niganawenimaanaanig student mentor; Dr. Colleen Greer, dean, College of Arts & Sciences; Dr. 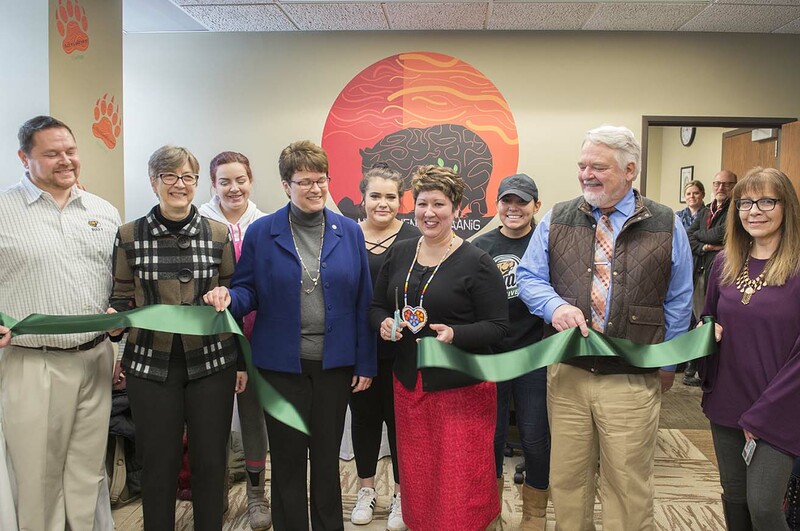 Faith C. Hensrud, BSU president; Dr. Misty Wilkie, associate professor of nursing; Dr. Tony Peffer, BSU provost and vice president for academic & student affairs; Dr. Mary Fairbanks, associate professor of nursing. 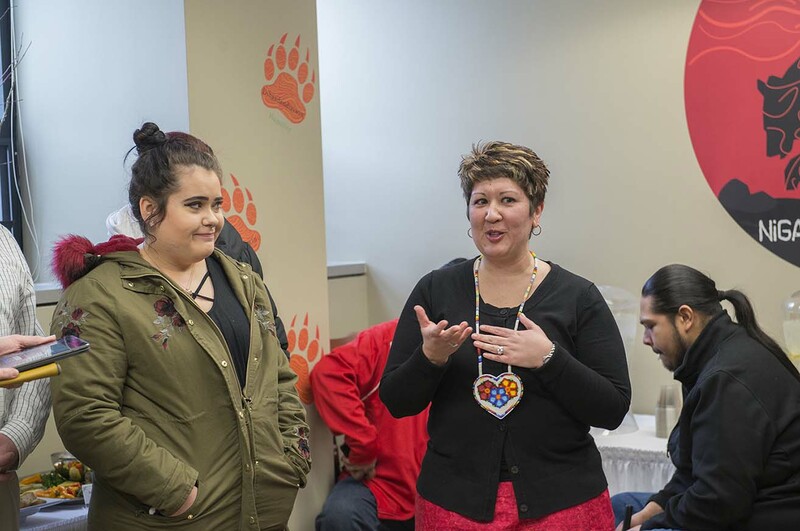 Back row, L to R: Niganawenimaanaanig students Tia Dahmen; Alexa Brunelle; and Jineane Williams. President Hensrud congratulates Misty Wilkie following the ribbon cutting. 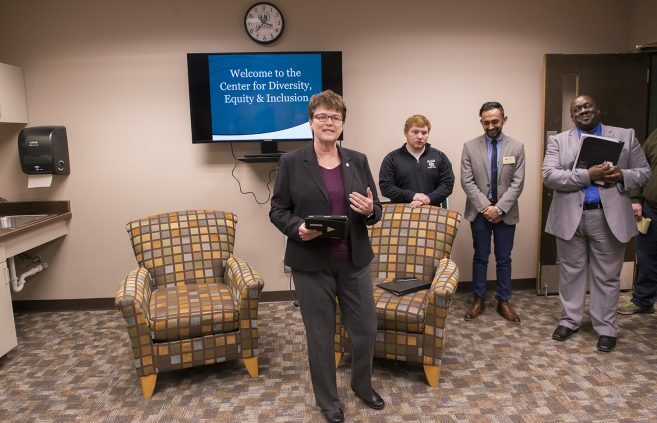 Dr. Misty Wilkie, associate professor of nursing, speaks prior to the ribbon cutting. Dr. Tony Peffer, BSU provost and vice president for academic & student affairs, speaks prior to the ribbon cutting. 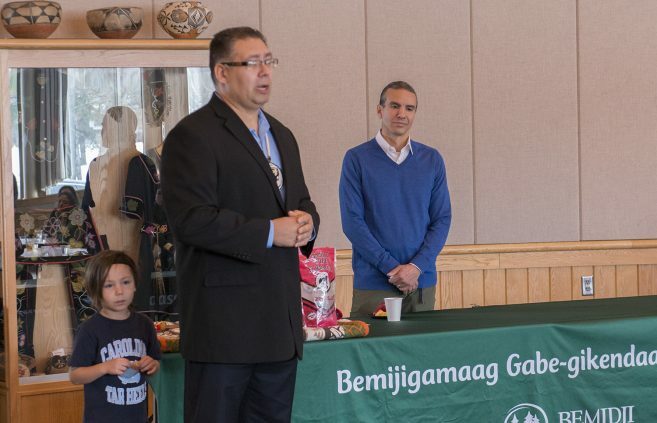 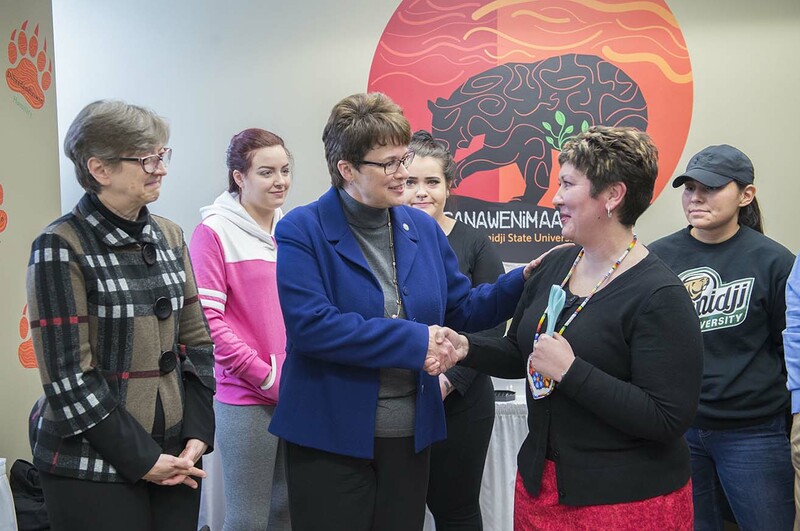 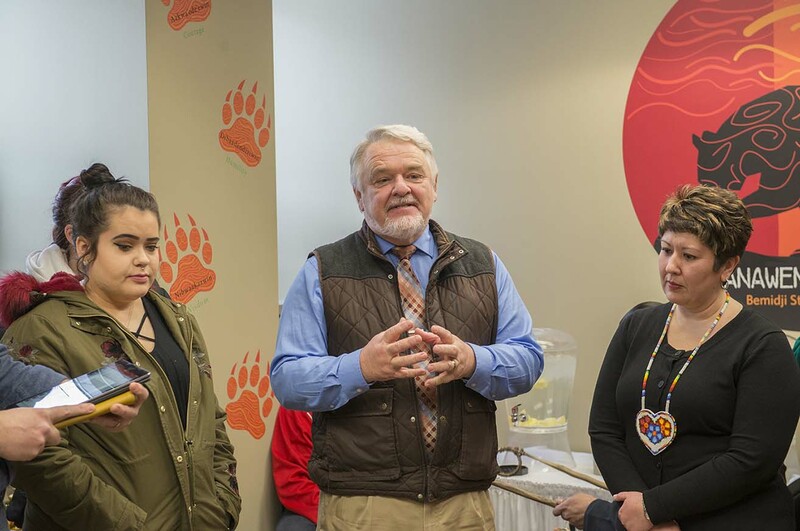 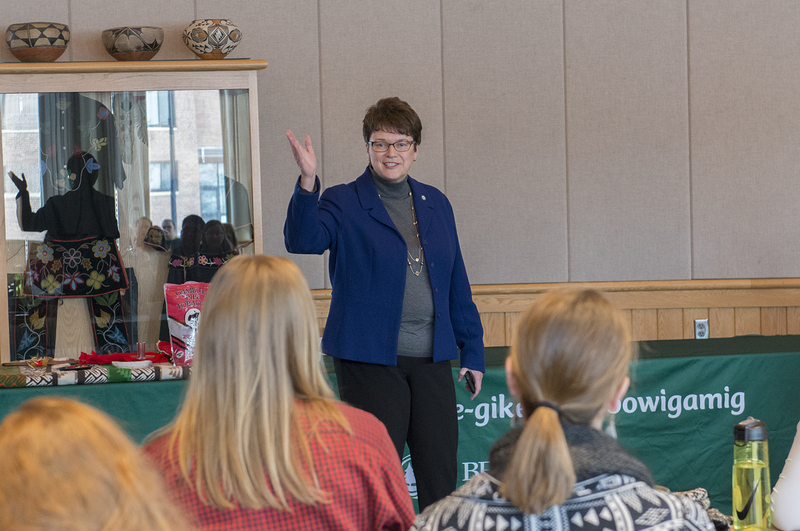 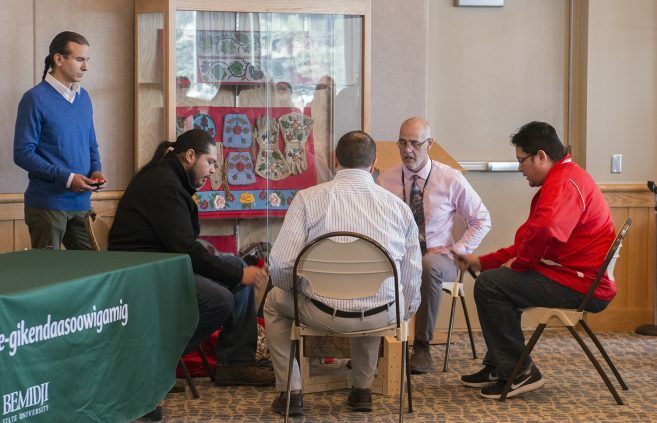 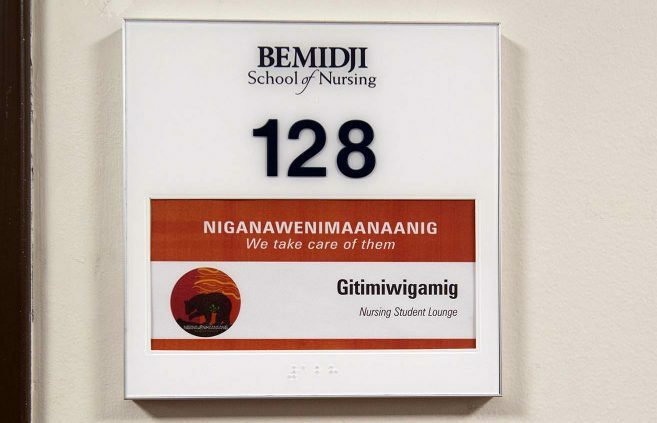 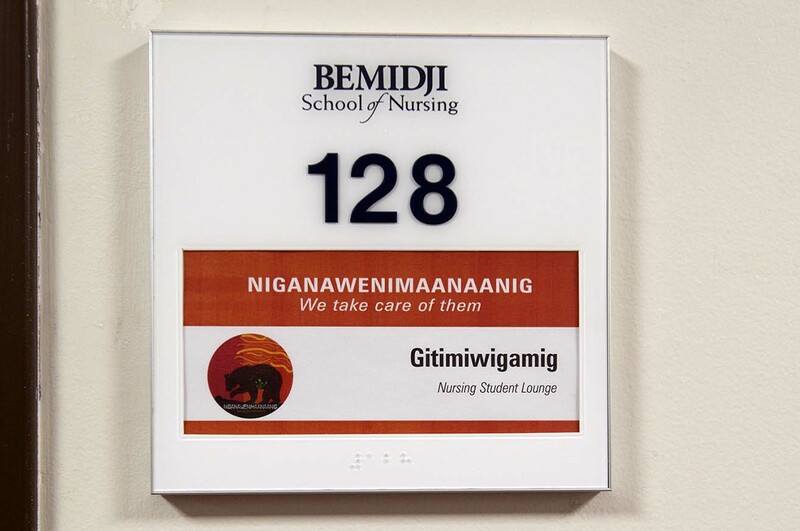 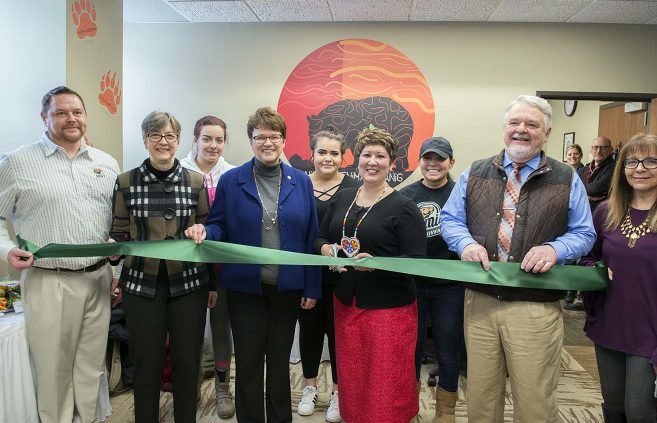 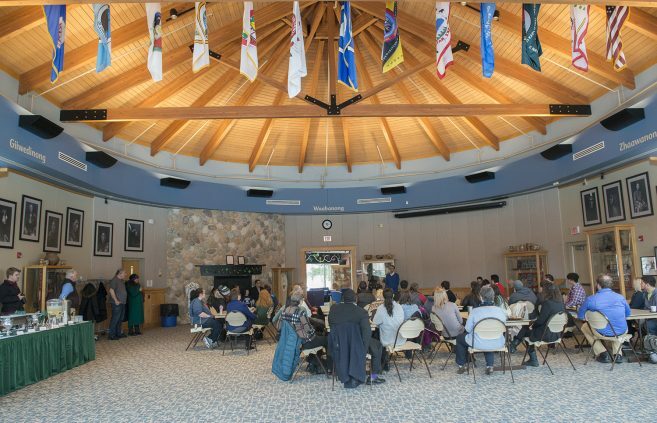 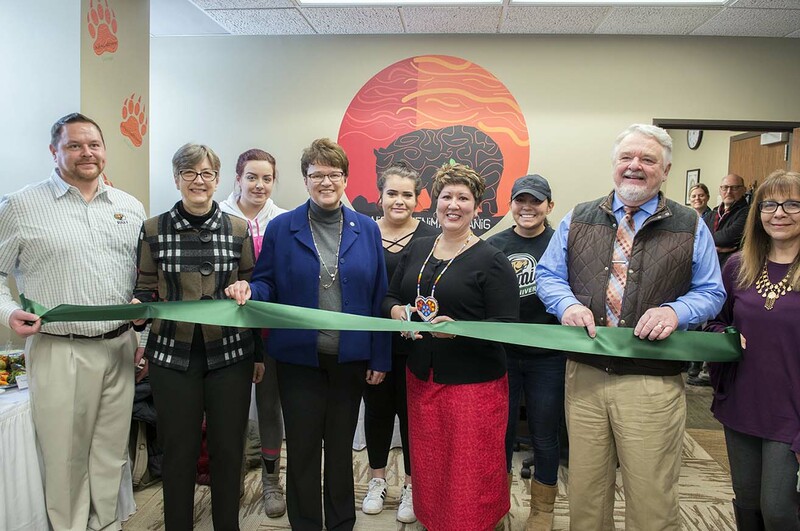 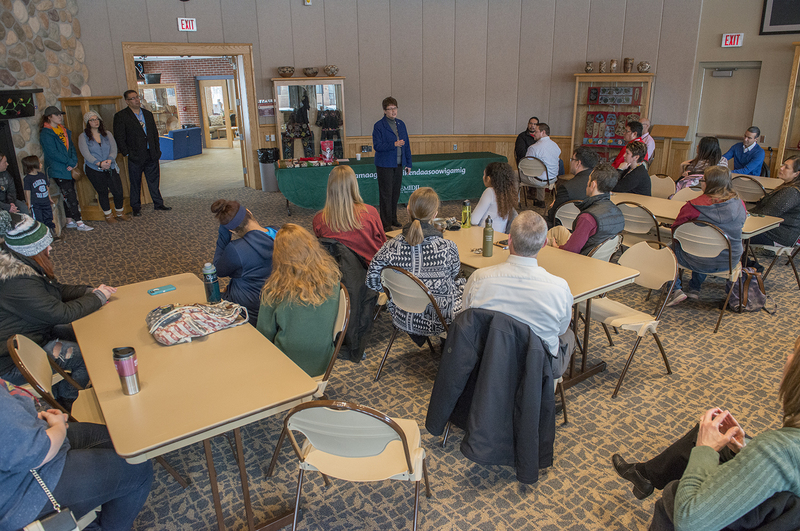 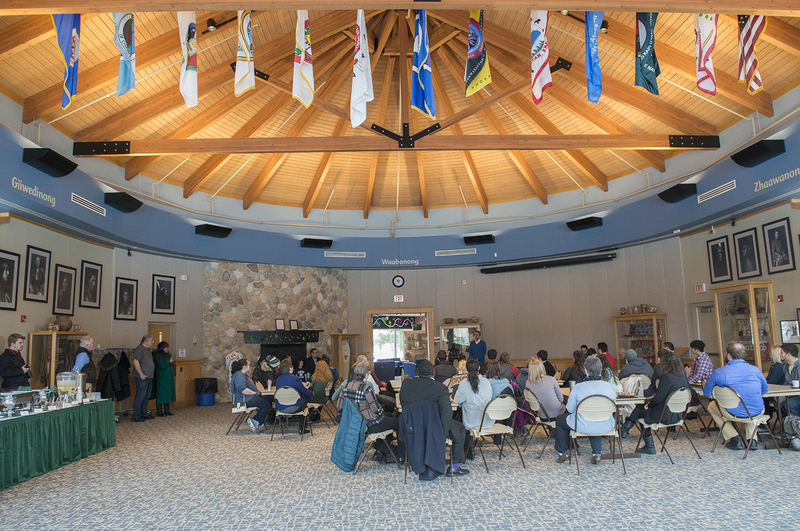 “My heart is totally full today,” said Dr. Misty Wilkie, associate professor of nursing at Bemidji State University, as the Department of Nursing unveiled its new Niganawenimaanaanig student lounge. 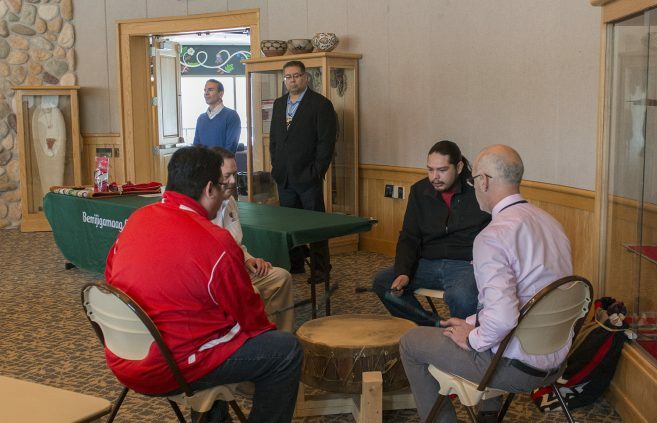 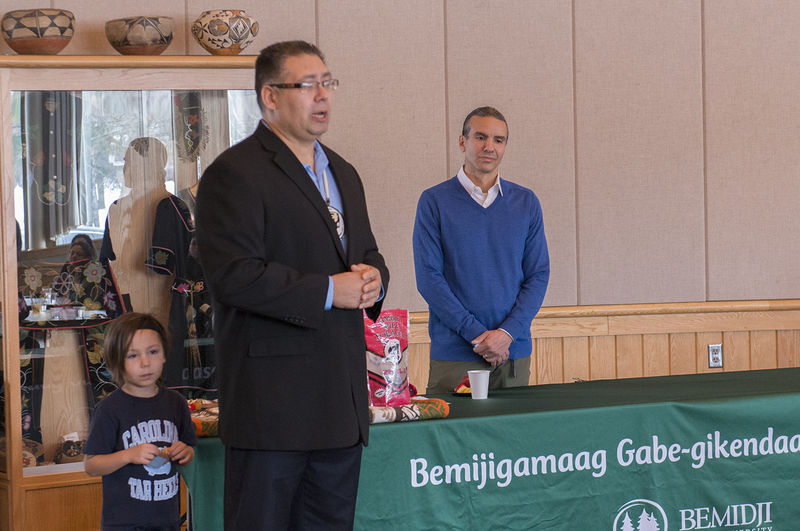 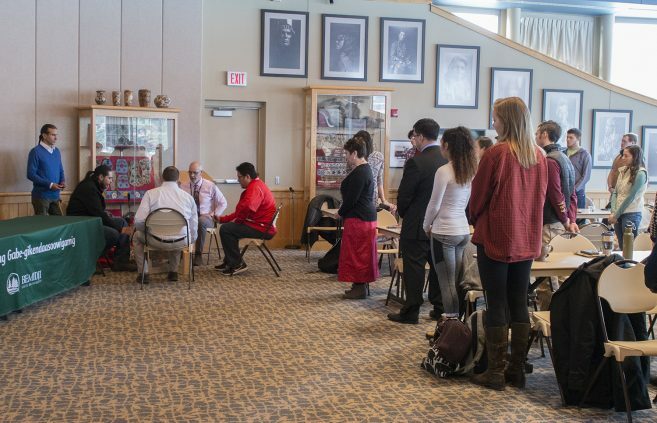 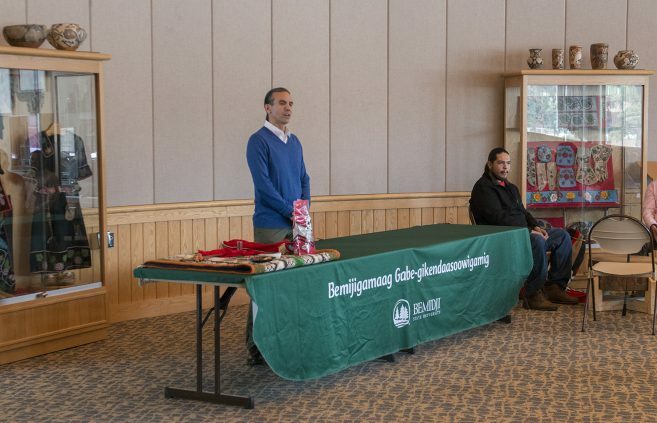 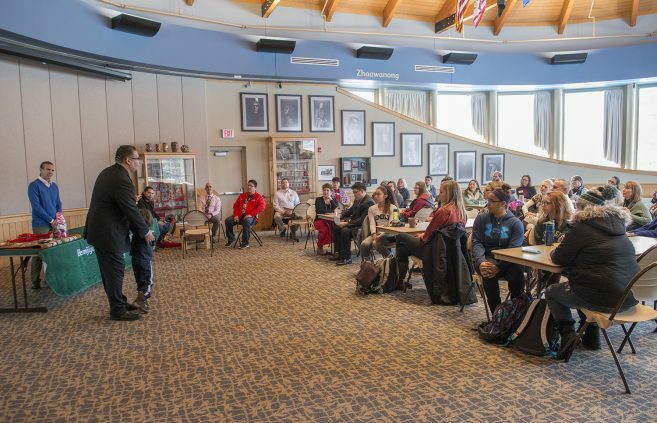 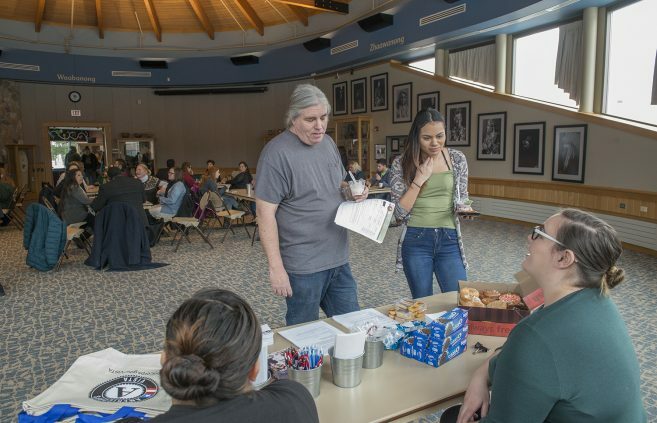 On Jan. 10, Bemidji State University’s American Indian Resource Center held its traditional Day of Welcome to open the spring semester.